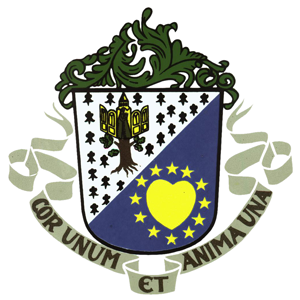 The Congregatio Immaculati Cordis Mariae, or the Congregation of the Immaculate Heart of Mary, also known as the Scheut fathers or Scheutists, is a Belgian Roman Catholic missionary congregation established in 1862 by the priest Theophiel Verbist. Its origins lie in Scheut, Anderlecht, a suburb of Brussels, so the C.I.C.M. missionaries were also known as Scheutists or Scheut fathers. The congregation did missionary work in China, Mongolia, the Philippines, and in Congo Free State/Belgian Congo, modern day Democratic Republic of the Congo. Fr. Theophiel Verbist was a diocesan priest in the archdiocese of Malines-Brussels in Belgium in the mid 18th century. He served as chaplain in the military academy in Brussels and at the same time as a national director of the Pontifical Association of the Holy Childhood. A compassionate man of God, he led a group of other Belgian diocesan priests who became deeply concerned with the abandoned children in China and with millions of Chinese who lived at that time in ignorance and poverty. In 1862 he founded the Congregatio Immaculati Cordis Mariae (CICM). Also known as the Scheut Mission, the congregation was born not knowing exactly what lay ahead. Their only assurance was their missionary zeal and God’s providence. In the winter of 1865, Fr. Verbist with four zealous companions arrived in inner Mongolia, that immense territory north of the Great Wall, which was entrusted to the fledgling congregation by Rome, and where they immediately began organizing small Christian communities. The founding fathers never imagined that many would follow their footsteps notwithstanding the cost of traveling by sea and in the hinterlands of China Three years later on Feb. 23, 1868, Fr. Verbist died of typhoid fever at the age of 45 in Lao-Hu-Kou. His foundation, however, grew into the worldwide presence it is today. Originally a Belgian Foundation, CICM has grown into an international religious missionary congregation of men from different races, colors and nationalities who are dedicated to universal brotherhood. Today the more than 1,000 priests and brothers of CICM are present in Asia: in Taiwan, Mongolia, Hongkong, Singapore, Philippines, Indonesia and Japan; in the vast continent of Africa: in Congo, Cameroon, Zambia, Senegal, and Angola; in the Americas: Haiti, the Dominican Republic, Guatemala, Brazil, Mexico and the United States; and in Europe: Belgium, Netherlands, Italy, France and Germany.